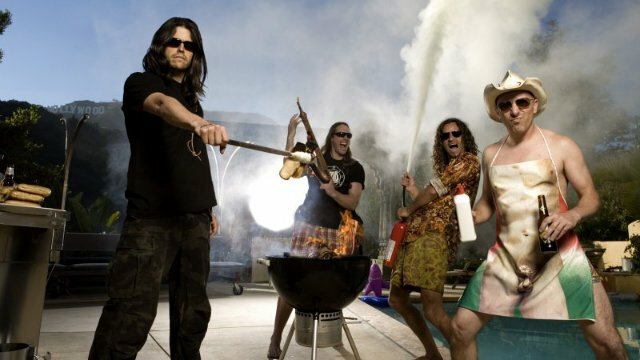 Tool frontman Maynard James Keenan has given another update on the album that some think will never see the light of day. Guitarist Adam Jones previously told fans that “music is done” and “lyrics [are] coming in hard”. It now seems that Keenan has been hard at work on those lyrics. Keenan offered an update on Twitter and while he said that they are a, “long way from the finish line,” he’s getting closer. He said that “after 11 years of begging” the rest of the band finally sent him all of the new songs bar one and he’s been working on them. “Words & Melodies 100% DONE on all but 1. Someday we’ll track them,” he said. Guitarist Adam Jones added some information in an Instagram post that said the band will go into the studio to start recording in March. Last year, drummer Danny Carey said that the album would be out in 2018 but Keenan shut it down and said that it won’t happen. It’s now been 12 years since the band released their last album 10,000 Days and it seems we may be waiting 10,000 days for it to arrive.